LAUREL, Md. — On Monday mornings, the North Laurel Community Center reserves one of its two basketball courts for players who are 50 and older. This week, Ivan Lee, 66, is shooting alone on a far basket. He is wearing shorts, a blue T-shirt, and glasses, and it takes him a bit longer to warm up than it once did. After breaking a sweat, Lee pauses to discuss the top prospects in Thursday’s NBA draft. He says UCLA’s Lonzo Ball is talented but flawed. He says Duke big man Jayson Tatum could be the first pick. But he says one player stands above both, and he just happens to be shooting on the other basket in this bright gym with the rubber floor. “I’d take him,” Lee says, nodding toward the former University of Washington point guard, Markelle Fultz, who is silently revving up yet another two-hour training session about 50 feet away. For weeks it was assumed Fultz would be taken first overall by the Celtics, but a league source said Saturday night that Boston will trade the top pick to the 76ers. It remains exceedingly likely that Philadelphia will select Fultz. On Friday night, a source close to the point guard said he was simply waiting to see what developed and that he would continue to prepare just as he had before. While many elite NBA prospects have shuffled off to work with renowned trainers in splashy facilities in places like Los Angeles and Las Vegas, Fultz, 19, has maintained a more familiar and simple routine at home in Maryland. Twice a day he goes to whatever gym will have him, and he even has a key to the facility at his alma mater, DeMatha Catholic High, where his workouts have lasted until 3 a.m. before. Fultz does not give off the vibe of someone who will earn a $6 million salary next season if he is drafted first overall. At his mother’s house, he still mows the lawn and does the dishes and sleeps in his childhood bedroom. When the DeMatha staff honored him this spring, they could not find him to start the ceremony because he was busy playing basketball with children in the school’s gym. Fultz has an unusual humility for a player in his position. It was instilled by his mother, a government worker who ran a single-parent household and started bringing Markelle along to help her feed homeless people when he was in elementary school. And it was strengthened by the coaches who cut him from his high school’s varsity team just over three years ago, a decision that seems implausible now. On this morning at the community center, as a “stroller moms” group meets outside, Fultz is working on his shooting. He ran 8 miles in searing heat the previous day, and now he says that his legs feel like Jell-O. During one drill, he must make at least 13 of 20 3-pointers from seven areas. Whenever he fails, he starts over at that spot. The sinewy 6-foot-4-inch guard is mostly quiet as his close friend, Kenneth Tappin, rebounds for him. When he speaks, it is usually just to chide himself for missing. Fultz is soft-spoken and has sleepy eyes and a calm manner, but despite that aura, he is a ruthless competitor who used to consider it a win if he reached the water fountain before his teammates. As he drills one three after another, two elderly women in jeans and fanny packs slowly walk laps around the gym. No, this is not exactly TD Garden. After about an hour, Fultz takes a break. His purple Washington shirt is drenched, so he changes into a fresh Nike one. Later in the week, Fultz will agree to a multiyear endorsement deal with the sneaker behemoth, but he is still pleased by the little things, too, like when Tappin comes back from the hallway holding two extra Powerade bottles because the machine accidentally dispensed them for free. Before Fultz can sit down to catch his breath, a community center employee walks over with a friend and asks for a picture and an autograph. Markelle Fultz grew up in Upper Marlboro, Md., about 20 miles southeast of the nation’s capital. He developed a love for basketball early, even if his play was not initially that impressive. At summer camps, while other children waited outside to be picked up, he would keep shooting baskets until his mother arrived. As he got older, he would travel from one gym to another, looking for open courts and bigger, stronger opponents. Ebony Fultz wanted to enroll Markelle in a private elementary school but she could not afford it. So she saved up enough to send him to DeMatha Catholic as a high school freshman. The basketball powerhouse has sent 17 players to the NBA, and Fultz vowed to be next. But as a sophomore, he was just 5-9 and had an awkward gait. Even though he had big hands and feet that hinted at a growth spurt, there was no telling how his skills would evolve. 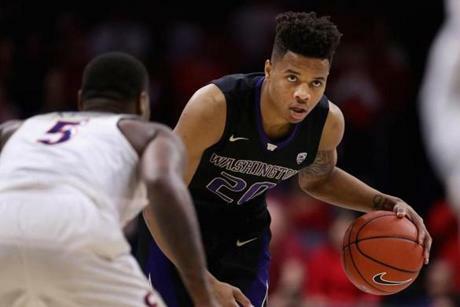 Fultz had shown potential on the freshman team, but as a sophomore he was cut from the varsity. Head coach Mike Jones feared that Fultz would transfer to a rival school, but he stayed and played JV. Although Fultz was initially overwhelmed by the academic demands at DeMatha, he took his schoolwork seriously. At his own request, he met his adviser at school at 6 a.m. most weekdays and even returned on many weekends for extra prep. On the court, comfort was no issue. Fultz did not belong on JV. He dominated, and his competitive fire was contagious. While his former coaches insist that the detour helped Fultz’s development, they also now use words like “idiots” when referencing their lack of foresight. They are just thankful the decision did not come back to haunt them. Fultz finally was called up to varsity for the final few weeks of his sophomore season. Chillious, who is from Maryland, shared this evaluation with some friends at the game, and they laughed. Later that year, one called him. 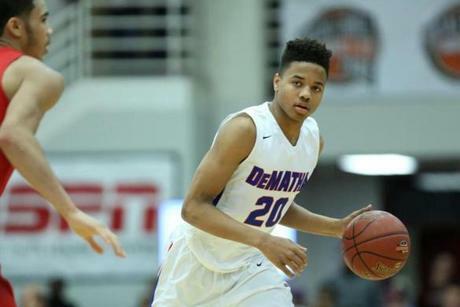 Markelle Fultz was cut from the varsity at DeMatha as a sophomore. Chillious and Romar rushed east to see Fultz play in AAU events that spring, and by the following season, the secret was out. Fultz was destroying his top competition. As Fultz soared, college basketball’s bluebloods began to rush in. But Romar and Chillious had developed a bond with his family, and their loyalty resonated. In August 2015, Fultz visited UW’s campus with his mother. During a car ride, Ebony Fultz sat in the front with Romar while Markelle was in the back with Chillious. Along the way, Fultz let it slip that he would attend a school that had sent coaches to all of his AAU games over the past two years. Washington was the only university that fit that description. Two weeks later, Fultz committed to the Huskies. The summer before Fultz’s freshman year, he went to Chile with Team USA’s under-18 squad. He was struck by the squalid living conditions of some of the people he saw there. He sent his mother a long text message telling her that he wanted to take care of his family and make an impact elsewhere, too. At Washington, Fultz FaceTimed with his mother every night, and his teammates began calling him “Grandpa” because he was the one who made sure everyone was home by midnight if there was a game the next day. When Ebony Fultz visited campus, she heard stories from arena workers and fans about her son’s small acts of kindness, such as the elderly woman who said he often helped her up from her seat after Huskies games. Fultz averaged 23.2 points, 5.9 assists, and 5.7 rebounds as a freshman this past season. Chillious said he was a “basketball savant” with an unusual ability to glance at a play and instantly know everyone’s responsibilities. Despite his gaudy stats, though, he was not named a first- or second-team All-American, most likely because Washington stumbled to a 9-22 record. Markelle Fultz played one season at Washington. Fultz took 17.6 shots per game, 2.1 more than the next closest player from a major conference, and he was aware of the growing narrative that his shoot-first approach was hindering the team. NBA teams were hardly turned off. Fultz’s devastating combination of length, shooting ability, court vision, and athleticism helped him emerge as the likely No. 1 overall pick early in the season, and he never really ceded that spot. He has drawn comparisons to Houston Rockets All-Star James Harden, who is one of three finalists for NBA MVP. For Fultz, the entire draft process remains surreal. 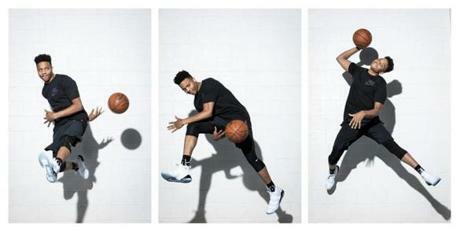 Last month he was at Washington filming a promotional video for the NBA. His instructions were simple: He just had to say his name and how he has always dreamed of becoming the No. 1 pick. Fultz’s small group at the draft in Brooklyn Thursday will include his mother, his sister, his former Washington coaches and his longtime trainer Keith Williams and Williams’s wife, Monica. Ebony Fultz says she will not be able to stop crying when her son’s name is called, but she will at least be able to get the tears behind her quickly. Markelle said he will likely cry when he returns to his hotel room. Wherever he ends up, he insists it will not change him. He will still be the type of guy who sprints two blocks to deliver an ATM card to a stranger who left it behind, as he did one day last month. Fultz’s workout at the North Laurel Community Center is over, and it’s time for lunch. He wants to go to his favorite sandwich shop, Firehouse Subs, and he’s a bit worried that the franchise does not have a downtown Boston location. And he cannot believe there is no Chick-fil-A, either. When you’ve just turned 19, these are pressing concerns while thinking about a potential new home. When Tappin — Fultz’s friend and workout partner — goes to throw away his trash after lunch, his napkin falls to the ground. Fultz picks it up and fires it into the garbage like a jump shot, as he jokingly collides with Tappin and says that he was fouled. There aren’t many people in the restaurant, but those who are here don’t seem to recognize Fultz. He is comfortable being unnoticed and, for that matter, overlooked. But he is beginning to understand that it will rarely be that way any longer.